The 2001 is our premium face mask with a visor covering a 460mm around the curvature of the face reaching from ear to ear. 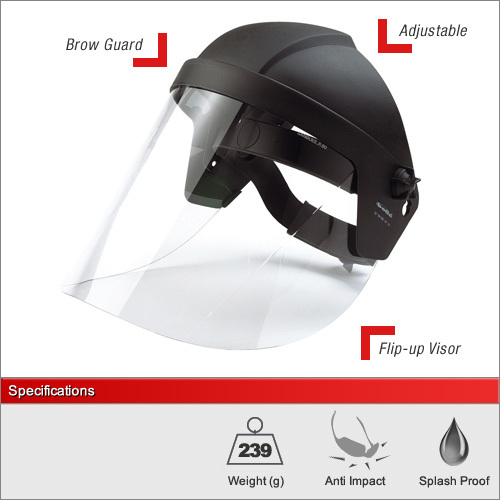 It also incorporates an impact resistant brow-guard to protect the forehead. 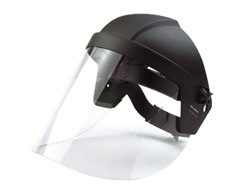 Although this model does exceed the EN166 European standards, the visor is not designed to fully protect against electrical arcs and does not come with 100% UV protection.